During the colder winter months, we prune the dormant vines. Pruning is a skillful art that sets the framework for the next growing season. 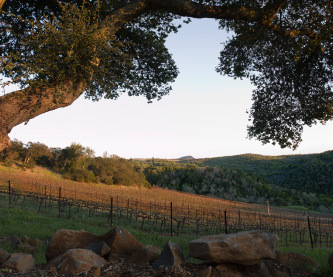 Panek Vineyard: Vines are densely spaced and pruned using the “two straight cane” method. Melanson Vineyard: Vines are pruned using the “bi-lateral cordoning” method with 6 feet between vine rows and 4 feet between vines. Mt. 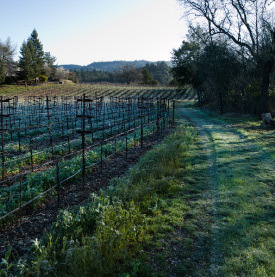 Veeder Estate Vineyard: Pruned using the “Guyot” style with two small straight canes, and 7 feet spacing between rows, 3½ feet between vines, lets vines take advantage of full sun.